In June of 1996, a movie came to theaters that would help define the term “Summer Blockbuster” and turn a fresh prince into a movie star. 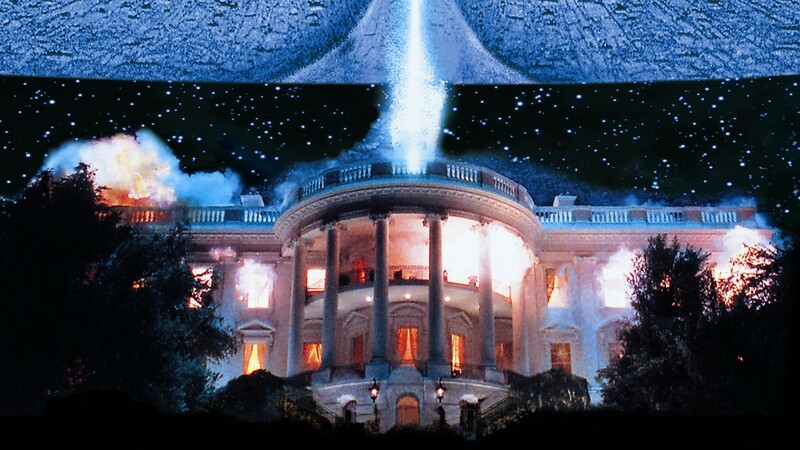 Independence Day captured audiences and became an instant new classic in movie history. Nearly a decade later, a sequel is finally in the works. While Will Smith will not return to battle more aliens, Jeff Goldblum, Vivica A. Fox and Bill Pullman will all be present and accounted for. Roland Emmerich is back at the helm as director and Baby Thor, a.k.a. Liam Hemsworth, will be along for the ride. As of Monday, the highly anticipated film has a title: Independence Day Resurgence. Deadline reports that the film revolves around events following the nations of the Earth coming together to use recovered alien technology to build an immense defense program to protect the planet. However, they are still unprepared for the aliens’ advanced force. Of course, only the ingenuity of a few and select men and women can save us all. Hmmm… I wonder who those people could possibly be. Independence Day Resurgence comes to theaters on June 24, 2016, just one day shy of the 10-year anniversary of the first film’s release. Check out the title reveal video below. Are you excited about this new film? Will you be in theaters to see it on opening weekend next June? Let us know in the comments. This entry was posted in Geek News, T. Mack and tagged Independence Day Resurgence. Bookmark the permalink. This sounds very interesting. Also, have you checked my Charmed stuff out yet? Yes. And I totally dug it!